Trained in mythology, art, and psychology, Stephen and Robin Larsen explore romantic relationships to answer the question: "What do couples really want?" The biographers of their friend and colleague Joseph Campbell, the Larsens turn to myths as well as depth psychology to heal the wounds of gender wars. 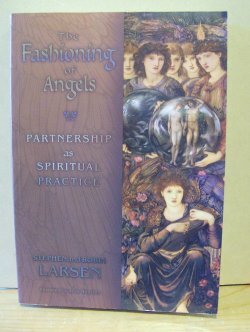 Their discussions with each other and interviews with five successful couples take readers deep into man-woman psychology and spirituality.